Gently Steamed Fresh Meat I am afraid to feed raw meat! Help… I am afraid to give my dog raw meat! In the nutritional experts’ practice at Farm Food, we often hear from various dog owners who are anxious about using frozen fresh meat to feed their pets. That is why we would like to discuss some of the facts and fables. Why do some people have such strong opinions for and against feeding fresh meat? We often hear that vets, breeders, and other nutritional experts – for example – do not agree with feeding frozen fresh meat. The main arguments are that feeding fresh meat is not necessary and that there is a risk of bacterial contamination, which can be transmitted to humans (zoonosis). However, in practical situations, supporters have noticed that dogs are healthier, livelier and more energetic when given fresh meat once or more a week. There is a lot of talk about bad bacteria in fresh meat, but are all bacteria in the fresh meat actually bad? It is important to distinguish between good and bad bacteria. Bad bacteria could cause us and our animals to become ill. The most well-known examples are salmonella, campylobacter and listeria. On the other hand, the good bacteria – also called probiotics – have a positive effect on the intestinal flora. Intestinal flora are bacteria that live in the gut; they look after increased immunity, better absorption of nutrients, hormone balance and the disposal of toxins from the body. How can you know that the Farm Food Fresh frozen meat is safe from bacteria, yeasts and fungi? Frozen raw meat is available from various brands, all with their own level of quality. 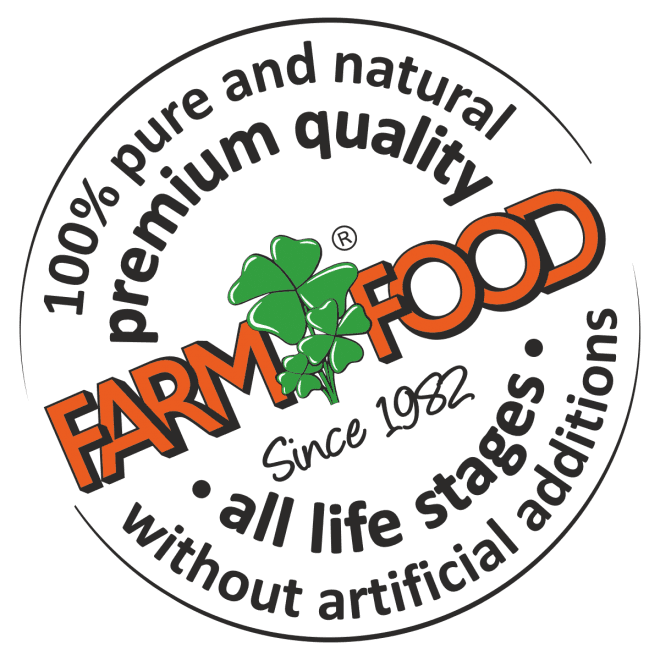 At Farm Food, we use sustainable meat that is also used for human consumption. This means the NVWA (Netherlands Food and Consumer Product Safety Authority) carries out proper quality checks on our cows. We strive for maximum hygiene in production and Farm Food Fresh is regularly tested by independent laboratories to exclude the bacteria as mentioned above; to ensure there is no salmonella in our feed, for example. Farm Food Fresh contains green tripe. Tripe contains good bacteria that are actually important for your dog’s intestinal flora. Many brands have chosen to remove green tripe from their feed. Farm Food actually opted to add this green tripe to feed, because as is known from human healthcare: ‘health resides in the intestines’ and that is certainly true for our dogs. We place a lot of value on the quality of our feed. That is why we are one of the initiators of an official quality mark for raw meat feed for dogs. Together with several other producers, we want to make sure clear guidelines and regulations are put into place that can safeguard the quality of raw meat feed. Is my dog getting all the necessary nutrients? There are various types of fresh meat feed available on the market, including single and complete options. Complete feeds are comprehensive, as the name suggests, and contain all nutrients a dog needs every day. Examples are our Fresh Tripe & Heart Complete frozen meat or Fresh Beef Complete frozen meat. Single feeds do not contain all nutrients, unless there is a varied range or supplementary complete feed. This is usually stated on the packaging. Is there a risk to my dog and my environment if my dog eats this? A dog’s mouth is naturally very antiseptic (bacteria-killing), ensuring that any possible harmful bacteria are rendered harmless. If you were to compare our own human mouths with a dog’s mouth, there would be many more bacteria in our mouths! There is no need to worry about the risks if your dog licks you or your loved ones. As you can see and hear from the film, it is important to take note of hygienic practices. Raw meat that has been left out of the fridge for too long, can attract bacteria, yeasts and fungi that could be present in the house. It is the same as for humans; we don’t cut our chicken on the worktop and then eat from it either. We clean everything properly to prevent any contamination. The same is true for storing raw meat. The containers used for storing raw meat must be cleaned thoroughly. This includes the dog’s bowl. If a bacteria unexpectedly does end up in a dog’s stomach, it will be rendered harmless because of the high acidity (a dog’s stomach is many times more acidic than a human stomach, the pH of a dog’s stomach is around 2-3 and a human stomach is 3-4). The bacteria has a hard time surviving in this acidity. In the event a bacteria does survive and ends up in the intestines, the probiotics (good bacteria) fight the bad bacteria. A healthy dog has a good intestinal flora, full of rich probiotics. In other words, a dog’s entire gastrointestinal system is aimed at eating raw meat. Does feeding fresh meat mean worming more often? In view of the many years of experience in feeding fresh meat alongside Farm Food HE, we feel that dogs who are given fresh meat do not require worming more often. If you have any further questions after reading this article, the nutritional team would be pleased to help you.